You might think that it is not possible to childproof your finances especially when you are worried about your finances in the future. There are a number of reasons why you could feel this way. One is that you feel that you just have enough for your retirement needs. You can retire but you cannot weather any big financial setbacks during retirement. It is also a possibility that you have a feeling that your children might need some form of financial help in the future. They may not yet be financially independent or simply have a lot of debt payments under their name. You could also be worried because your children are starting to have a big family and it will only be a matter of time before they ask for handouts. These are just some of the reasons why you need to childproof your finances. It will help you stick to your budget when you reach your golden ag1e and it will also help your children as well. There are only so much you can do for your children as parents. The time will come when you have to live apart from each other and they need to be able to do that on their own. One of the best things you can do as a parent is to help your children live their own life. They need to find their own path and have their own dreams. It does not mean that you will sever all ties with them. You simply have to equip them to be able to do all those things on their own. This includes the fact that they have to be able to manage their finances without asking money from you every time. Here are a few things you can look into when you want to do just that and childproof your own money as well. 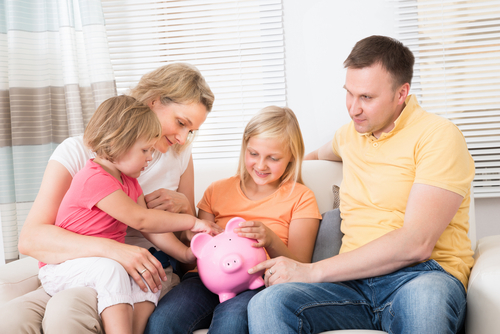 One of the best ways to childproof your finances is to help your children manage their money all on their own. As parents, you play a big role in helping shape and guide them to be able to do just that. You will be their first teachers and learn a lot from what you impart to them at home. Children will also learn from what they see as well. When you manage your finances and budget your money around the house and include them in the process, they learn from it. Children pick up not only what you teach them but from what they observe as well. You can tell them how important it is to save up for things they want to buy but if they see you mindlessly swiping away on your credit card, it sends the wrong message. They would tend to believe your actions and do the same when they grow up. This is why it is important to do show them as well that you practice what you preach. If you teach them how to save, have your own savings jar and show them that you are saving money as well. If you teach them to be mindful of their expenses when out in the mall, you need to do the same and show them that you do what you teach them. One of the best ways to help you save your finances from disaster in the future is to save for a college fund. The most popular fund or account you can look into is a 529 plan. This is a tax-advantaged savings account which can help you save for your child’s college expenses. It can be a big help when the time comes that your children start looking at the cost of attendance. It is also a good idea to include your children when you are trying to save for their college expenses. There are a lot of ways to go about this such as matching a part of what your child can save up for college. This can help encourage them to set aside summer job money or even any cash gift they receive for college. You are saving up for peace of mind both for you and your children. As they get to pay for their cost of attendance, you are also secured with the fact that what you saved for your retirement will not be in jeopardy. You lower the chances of getting a knock on your door early in the morning with your child asking for extra money to pay for college. It is noteworthy to remember that CNBC shared how about 78% of Americans are concerned about their retirement savings. Another way to childproof your finances is to be on top of requests to cosign a loan. You might think that this is a harmless way of helping family and friends. There is no cash out from your end and the only thing they need from you is your signature along the dotted line of a loan application. What could go wrong? A lot of things can go wrong from a seemingly simple request. For one, you need to understand that your signature represents your financial record and credit history. You are essentially taking out a loan using your good name. If your child, who need the loan, manages to stay on top of the payments, then that is all well and good. But what if they start to miss payments? If that happens, your credit score will start to take a plunge even if you just cosigned the loan. In the eyes of the lender, you are just as responsible for the loan as your child. Once your score goes down, you could have difficulties getting access to credit instruments as you get older. If your child, for any reason, stops payment, you too will get collection calls demanding you pay for the loan. Apart from affecting your finances, this is also unnecessary stress you can do away with. As you endeavor to childproof your finances, you need to have a plan for the future. It will be more challenging to just wing it and see what the future holds. If you choose to do that, you are putting your finances in danger. You need to have a plan early on so you can start working on it ahead of time. The more time you have to prepare, the better your chances are that your finances will be stronger in your golden years. For one, you need to understand that just as you do not want your children to keep asking you for money, you need to do the same. Once they have their own affairs to worry about as they get older, try not to be a financial burden to them. Spend time with them and your grandkids but try to keep money out of the conversation. If you do choose to give them some money in the future, you need to make sure that your funds can handle it. This means saving more early on so you can give your kids something in the future. It could mean that you have to max out your 401(k) contributions every year or even looking for a side gig to earn some extra cash. The bottomline is if you plan ahead, you get to manage your finances better. It might be difficult to childproof your finances when you are trying to enjoy your golden years but it is doable. You need to know that you can help your children in many ways apart from giving them money. If they do need money, you need to plan it out in a way that it does not affect your retirement needs.